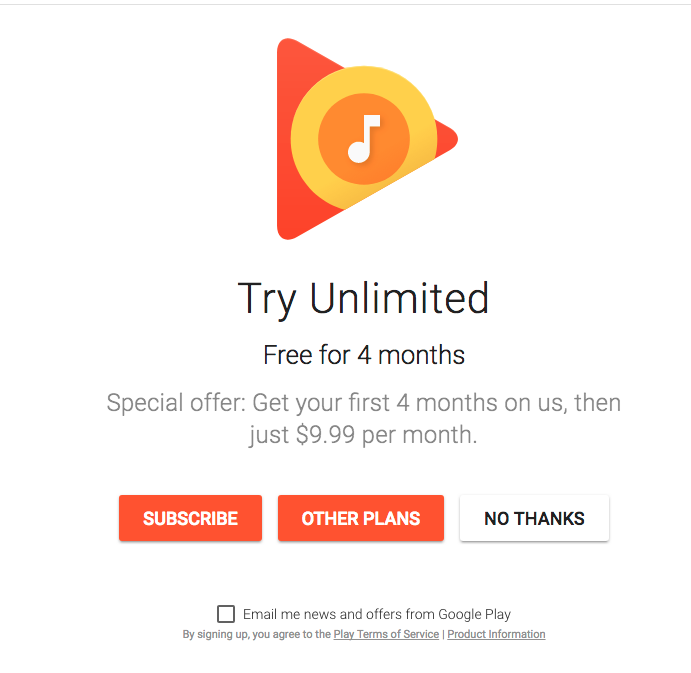 Google Play Music Premium Free For 4 Months Deal. As part of the 12 days of Play, Google is offering Google Play Music free for 4 months. 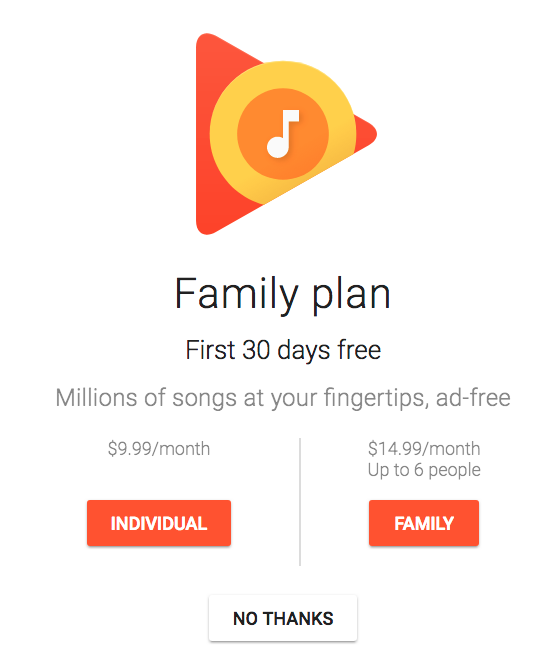 Usually the premium version of Google Play Music is $9.99 a month (single user) or $14.99 (for the family plan up to 6 people). The 4 months free offer is on the single user plan. When you click on the link, you should get to a Try Unlimited (Free for 4 months) page. Once there, select subscribe to subscribe for the premium plan. If you notice on the page, there is another button that says Other Plans. If you select that, you will get the option to get 30 days free on the family plan, which is for up to 6 people. As part of signing up for Google Play Music Premium, you are also signed up to YouTube Red . With YouTube Red, you get an ad-free streaming service of all the videos hosted by YouTube, as well as offline play and background playback of videos on mobile devices. YouTube Red is also participating with major networks and celebrities to offer original content, both movies and shows.